Mr. Venkata Sudhakar Simhadri is a serial entrepreneur and proven executive in the semiconductor industry. 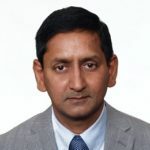 He is the Founder, President & CEO of Gigacom Semiconductor LLC & Founder / Director of Gigacom India (which are under acquisition by MosChip) and the driving force behind establishing IP licensing and design services business with leading semiconductor companies. Earlier to Gigacom, Venkata was the Founder, President & CEO of Time-to-Market (TTM) from 1998 till its acquisition by Cyient in 2008 and was its head of Hi-tech Business Unit till 2012. Venkata has 30 years of experience, primarily working in the USA and India region. He did his B.E. from Andhra University and MS from New Jersey Institute of Technology (NJIT). 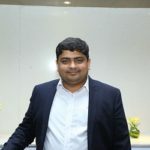 Mr. Jayaram Susarla is the Chief Financial Officer (CFO) of the Company, he is responsible for Accounts, Finance and Legal Functions of the Company. Earlier he is associated with MosChip as SVP – Finance. He has over 12+ years of experience as a Chartered Accountant, he specializes in Planning, budgeting, accounting, finance & treasury, taxation, auditing, reporting, compliance, Merger & Acquisition, and Investor Relations. Prior to working with MosChip, he has worked with companies like Star India Private Limited, DQ Entertainment, and KPMG India & Middle East. Flt Lt Bipin Pendyala drives business strategy and corporate functions like HRD, IT, Administration across the organization and holds P&L responsibility for the Semiconductor BU. Most recently he was Founder CEO of SuVitas Holistic Healthcare and Partner Director of iKeva Venture & Knowledge Advisory Services. Earlier, he held corporate leadership positions as VP & Site Manager, CA Technologies; COO and Board Member, Knoah Solutions; and GM, PortalPlayer (NVIDIA). He had started his career serving in the Indian Air Force. Suvitas, CA Technologies & Knoah Solutions have won many industry accolades/ awards under his leadership. Flt Lt Pendyala is actively involved with the industry, entrepreneurial and social activities – HYSEA; TiE; NASSCOM; AMCHAM; CII; LetsVote; Hyderabad Angels; and India Advisory Council member at Anita Borg Institute. Bipin is the proud recipient of “Personnel Manager of the Year” award from Hyderabad Management Association and was the recipient of “Best Outgoing Officer of the 10SSC Course” in Indian Air Force. Bipin has done his BTech in Electronics & Communication Engineering and was the recipient of Faculty Council Gold Medal in MBA from Xavier Institute (XIMB). Suresh is a graduate in Arts and has a Post Graduate Diploma in Business Management. He has a very rich experience in senior roles that are varied and diversified. He shouldered various responsibilities as General Manager (GM), SGM, AVP, and VP in TV, Information, Media and Entertainment Industry like DISTRIBUTION, PRODUCTION, Events And new Business Development. 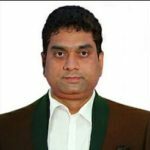 He started his career with Ramoji film city and has been associated with big names like ETV, MAA TV, and STAR India for a long time during which he was responsible for organizing high profile events and programs. He has versatile leadership qualities that make him very enterprising to take up new and challenging roles. Currently, he is heading the IOT business for MosChip as a business head. He is highly people-centric and is very comfortable with persons of any temperament and can easily mend and mentor them to do a great job. His attitude to respect people and help them realize their self-actualization makes him endeared to the teams and produce great results. He was lauded for his excellent marketing and execution strengths by many industry leaders that he worked for.